This property is located close to Dorset s border with Wiltshire in the picturesque village of Berwick St John with its traditional 17th century pub which is within walking distance of the property. Sixteen miles to the east of the property lies the cathedral city of Salisbury whilst to the north the town of Warminster is a pleasant place to spend an afternoon browsing the shops and lunching in one of the town s numerous eateries. Just outside Warminster Longleat House and Safari Park is a popular destination for day trippers with its exotic animals fun rides manor house and hedge maze. South of the property meanwhile the golden sandy beaches of Bournemouth are within a thirty-two-mile drive. 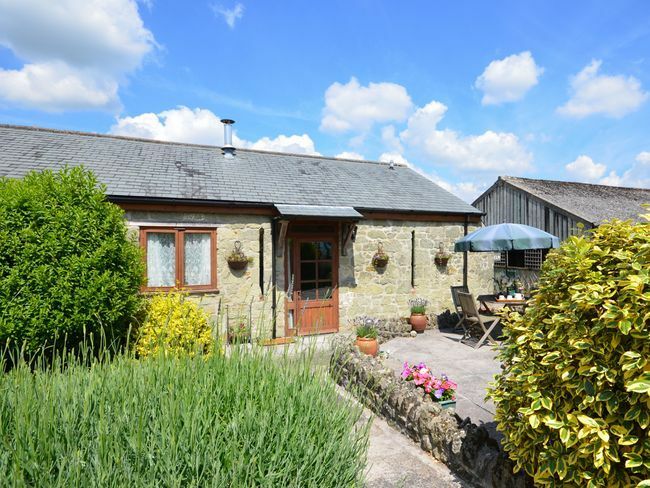 This farmland property is one-of-three at this pleasant rural location and makes a wonderful place for a break in the Dorset countryside. The main living space comprises of an open-plan lounge/kitchen/diner with a comfortable lounge area which has cosy sofas and armchairs from which guests can enjoy a film or favourite programme on the TV/DVD or perhaps unwind with some music on the iPod/radio. The kitchen area has a small dining table beyond which there is an oven hob microwave fridge/freezer and a washing machine. If needed a freezer and tumble dryer can be found in a separate shared utility room. The property s two bedrooms are located on the same floor as the living space: a restful double room and a single room which has an additional pull-out bed which can accommodate an extra guest on request. The bathroom offers a shower-over-bath and a WC. Outside there is a patio area with garden furniture from where guests can enjoy the tranquil surroundings of the farm but guests should be aware that this space is not enclosed. There is ample parking close to the property.